Dr. Severson has special interests in bariatric (weight loss) surgery, Gastro-Esophageal Reflux Disease and revisional laparoscopic anti-reflux surgery, Laparoscopic Colectomy, RITA (Radiofrequency Interstitial Tissue Ablation) for hepatic malignancy, minimally invasive varicose vein surgery (Trivex), minimally invasive hemorrhoid surgery (stapled hemorrhoidpexy), Endoscopic Carpel Tunnel Release, therapeutic endoscopy and missionary medicine. Dr. Severson is the medical director for and a reflux specialist with the Minnesota Reflux and Heartburn Center at Riverwood Healthcare Center in Aitkin and Cuyuna Regional Medical Center in Crosby. He is a Diplomate of the American Board of Surgery and became a Fellow of the American College of Surgeons in 1988. He is a Clinical Assistant Professor in Human Gross Anatomy and Clinical Sciences at the University of Minnesota Medical School in Duluth. He serves the University of Minnesota Medical School in Minneapolis as a Rural Physician Associate Program professor and conducts surgery rotations for the Duluth Family Practice program. 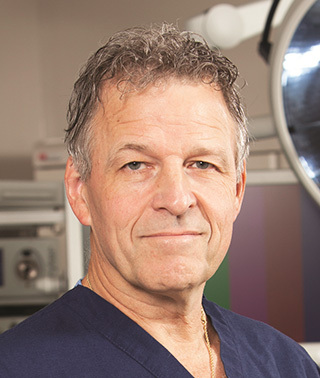 Currently Chief of Surgery at Riverwood Healthcare Center, Dr. Severson serves on a number of committees and is a member of numerous professional organizations. He is past president of the Minnesota Surgical Society as well as the Hitchcock Surgical Society. He was instrumental in the formation of the Upper Midwest Bariatric Surgery Forum and currently contributes to the leadership council. He is Rural Liaison and appointee to the program committee for SAGES (Society of American Gastrointestinal and Endoscopic Surgeons). He was selected to the 2004 American College of Surgeons Advisory Panel for Stryker Endoscopy. Dr. Severson is founder and president of Project Haiti, Inc., a charitable nonprofit organization that has provided humanitarian relief to the impoverished people of rural Haiti. Since 1989, Dr. Severson has been instrumental in sending hundreds of volunteers from all walks of life, including medicine, dentistry, economic development, and construction. The Minnesota Medical Association has honored him with their Community Service Award for his contributions. Dr. Severson has trained over 70 surgeons in advanced laparoendoscopic procedures and now hosts, along with Dr. Howard McCollister, the Ethicon Endo-Surgery mini-fellowship in bariatric surgery. He regularly serves as a medico-legal consultant and expert witness. Together with Dr. McCollister, he serves as co-director of the Minnesota Institute for Minimally Invasive Surgery (MIMIS), as well as the MIMIS Fellowship in Minimally Invasive and Bariatric Surgery.